And me, in a bikini, on a private boat with a beer, staring right back. A landscape so ancient you feel connected with those who came before. For us shivering, rain-accustomed, heat-seeking holiday missiles from northern England, Turkey - and specifically Antalya - is a dream destination with endless sunshine and temperatures that average 28 degrees in July (they can go up much higher)and rarely dip below 15-20 for the rest of the year. Your every desire is catered for here, from night-time entertainment of the civilised variety to water aerobics or Tai Chi,or just lying down with a waiter bringing drinks to your sun lounger. It’s a tough life - not least in its spacious, modern, rooms. But if you fancy more of a challenge you could- like us -visit the kitchens for a lesson in cooking the perfect delicious Turkish kebab from the top chef himself. It bears no resemblance to those late night doners I assure you. It’s hard to pull yourself away from this luxury but you really should. Antalya is so much more than cocktails, classy entertainment and restaurants on tap - it has a few surprises up its sleeve. The Aspendos open air stone theatre is also an awe-inspiring photo-opportunity and reminder of days gone by. We visited the old city Kaleicki for a wander amid the stunning ancient white, red-roof, buildings – never far from an astonishing view of endless blue seas and distant mountains. *With breath-taking scenery, tasty cuisine and a relaxed, friendly atmosphere, Antalya is one of Turkey’s most popular holiday destinations. *Jet2holidays breaks start from £389 per person – secured with a £60 deposit. *The 5 Star Barut Acanthus & Cennet in Side, Antalya, is priced from £849 per person based on two sharing for 7 Nights all-inclusive, departing Manchester on May 21, 2018.Includes a 22kg baggage allowance and return transfers. 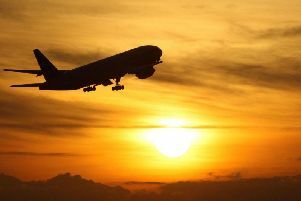 *To book flights visit www.jet2.com or for package holidays visit www.jet2holidays.com or call free on 0800 408 5599.